Sub five to 62mph for less than £30K is impressive but do numbers equal fun at the wheel? If James Brown were still around today and looking to count it off, get up offa that thing or, just possibly, take it to the bridge who would he seek accompaniment from? A horn section comprising big sweaty men like J.B.'s brass legends Maceo Parker and Fred Wesley dressed in matching gold lame suits? Or nerd behind a keyboard? 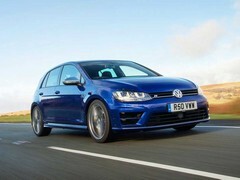 So to the Golf R, first impressions of which suggest it's more Kraftwerk than the king of funk. Certainly VW would seem to be going for a colour coded lock-down on the sector it has some claim on being the originator of. 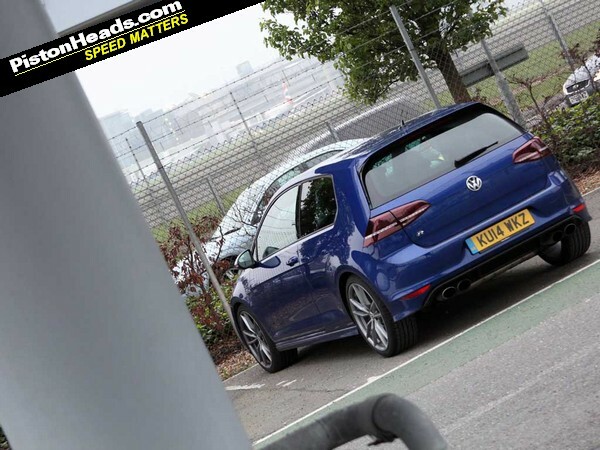 You can have your hot Golf in traditional GTI trim (red pinstripe trim), with or without a fancy diff, you can have it diesel powered in GTD form (black and smoky - just kidding, seems to be a silver stripe) and you'll even be able to have it electric with a blue stripe. And if you really want to go bonkers there's a new R400 with 400hp and yellow detailing to separate it from the chrome of the R. Very organised. Not that we're doing lazy national stereotypes. 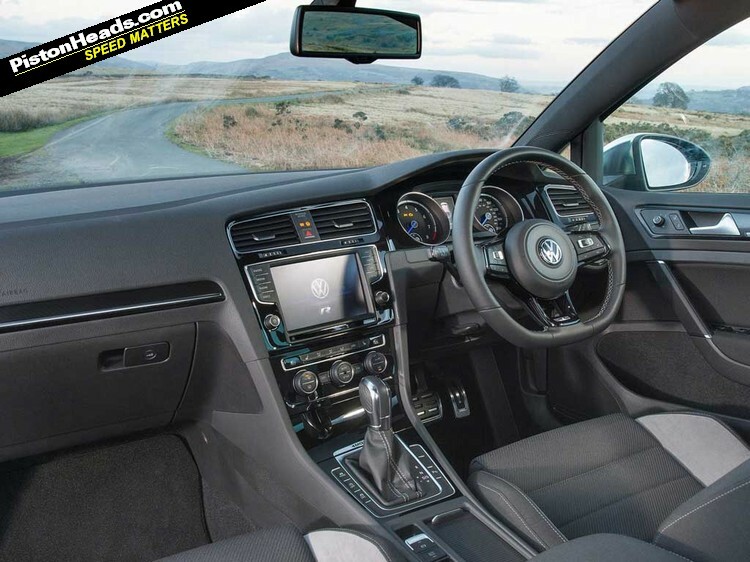 Attempting to simplify that range into just the petrol GTI and R it's a £3,775 price walk from a basic manual three-door GTI (£26,125) and into a comparable R (£29,900). 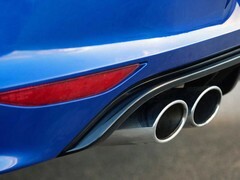 For that you're going from 220hp to 300hp, front-driven to four-wheel drive and a doubling in the number of exhausts. 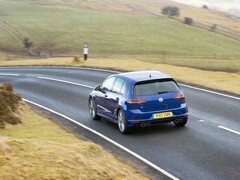 Blurring that boundary is the 230hp, active locking diff equipped GTI Performance option for £27,120. All variants are available in three- or five-door and with manual or DSG gearboxes adding, respectively, £665 and £1,415 to the prices. 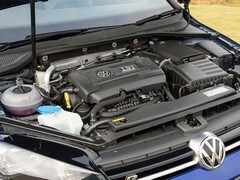 To make accurate comparisons between GTI and R models you have to pick your way around the spec sheet very carefully. 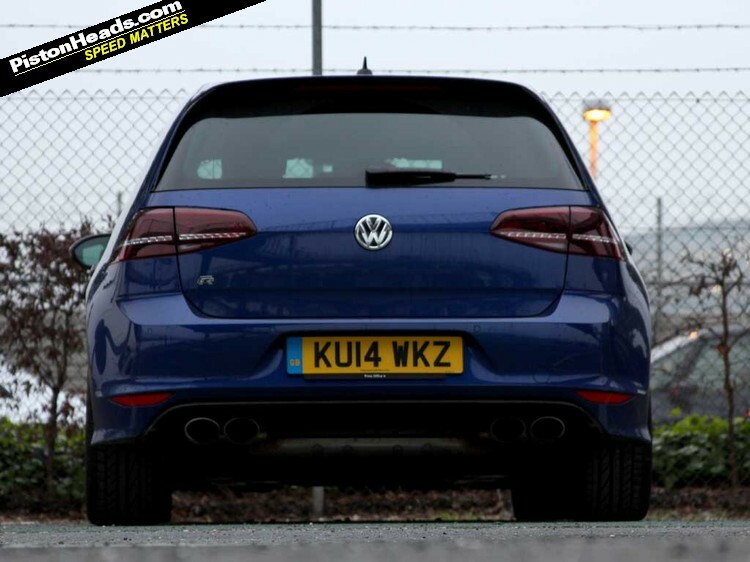 Bear in mind, for instance, the 81kg variance between a three-door manual Golf GTI and a five-door DSG equipped GTI Performance. The 30kg penalty extra doors bring. 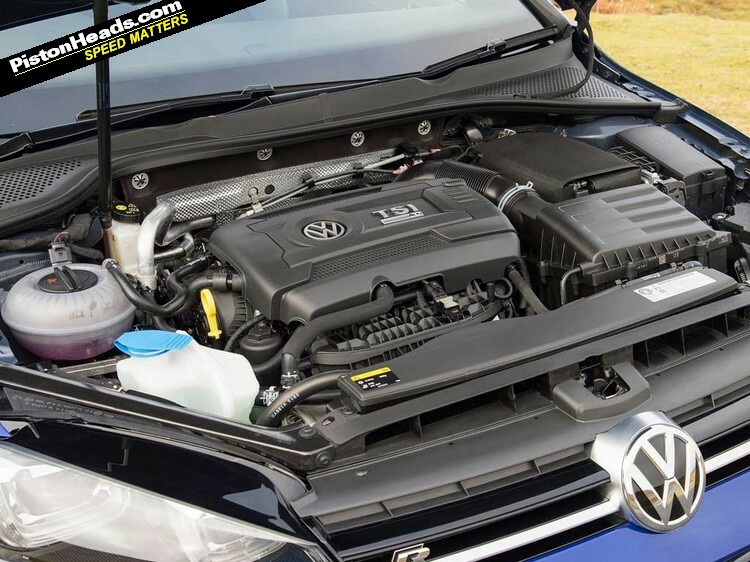 And the 125kg difference between that basic GTI and entry-level R. An extra 80hp sounds like a big step up but the R's 280lb ft of torque is only 22lb ft more than the GTI's 258lb ft. The only real number you have to make an objective comparison is 0-62, which is 6.5 for the manual GTI three-door and 5.1 for the equivalent R, dropping to just 4.9 with DSG. That's a significant on-paper improvement for those looking to justify that extra investment. But does it actually translate to the road? First job? Choose a mode. 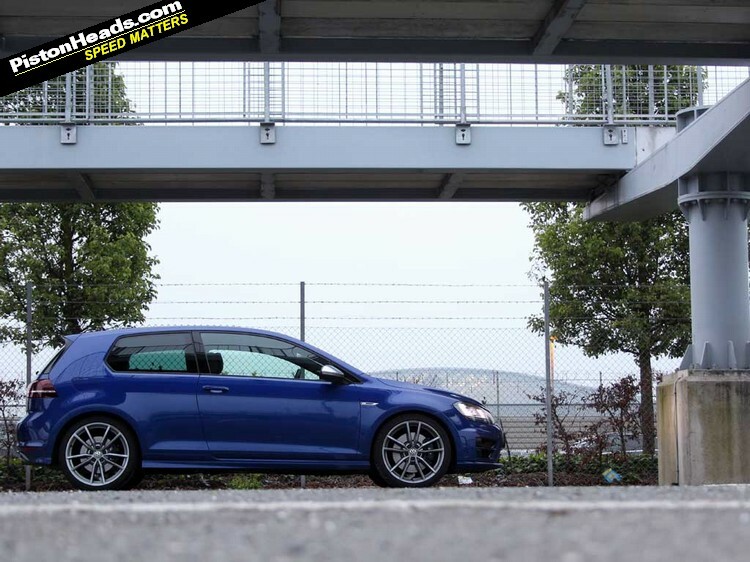 Bells and whistles spec with ACC adaptive dampers means five to choose from for our test car, including 'Race' rather than Sport exclusively for the R. Inevitably after much fiddling round Normal for most things seems the best all-round compromise. Who'd have thought. Configurability is present in all of the Golf's controls though. Steering weighting, damping (optional), gearchanges (again, optional), throttle map, stability control ... there's endless fiddling and available. Nothing feels especially authentic though, the farty synthesised engine note an aural analogy for prevailing digital enhancement. However much weighting you've dialled into the steering the progressive rack feels numb and the way the engine is tuned to deliver all its considerable punch from 1,850rpm onwards feels similarly artificial. If effing quick. Looking at the A45 it's interesting to see a philosophically very different approach, AMG investing its development budget in things like a bespoke linear steering rack and quality passive damping rather than mode settings and electronic gadgetry. It's a significant five-grand step from a comparable five-door DSG R and into an A45 but as a driver's tool seeking to annexe ground formerly occupied by the Japanese rally reps the AMG does a more convincing job. And if you can't stomach that price you can keep it real with a Subaru for less than the R.
300hp, four-wheel drive and a nominal sub-£30K pricetag are not to be sniffed at though. And by golly the Golf covers ground rapidly. The engine tuning means no sense of lag and if you're willing to give it full beans up a curving slip road you'll be astonished at the rate of progress and the ability of the chassis to deploy it in an entirely fuss-free manner. Fifth-gen and promises of ability to send 'almost' 100 per cent of the power rearwards or not, the Haldex four-wheel drive system still feels determinedly nose-led and the R is set-up conservatively to grip and go. But grip and go it most certainly does and, given the understated looks, you've got the ability to catch all manner of vehicles napping. A compact hatch with this kind of firepower and four-driven wheels should be a proper B-road weapon too and if speed is your primary measure of success in this realm the Golf R is again a triumph. 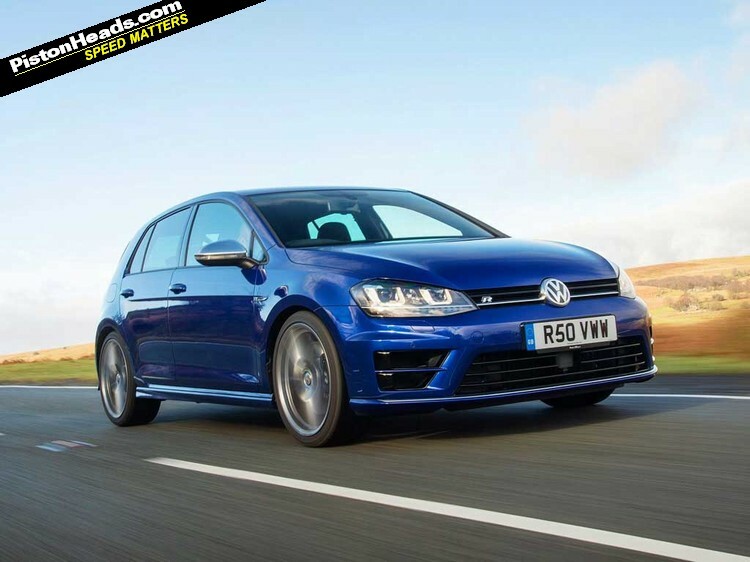 Damping is excellent, if ruthlessly dedicated to returning the Golf to a tied-down state as quickly as possible, but, again, there's a sense everything has been turned up just a little too much in an effort to impress. The centre pedal grabs too harshly to smoothly scrub speed or trail brake into corners, you never know quite where you are in that variable steering rack and if you're willing to be early on the power to explore grip levels beyond the initial understeer you need to be pretty confident in it eventually ending up in a place that'll help you achieve your goal. 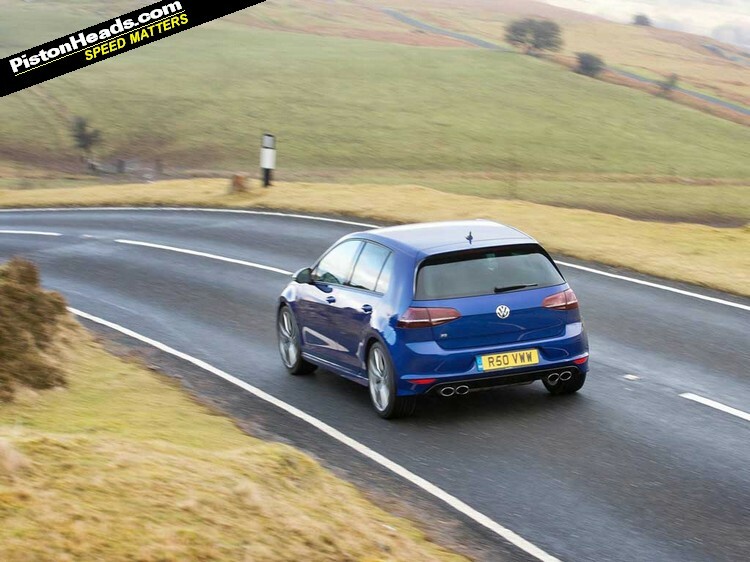 Ultimately the kind of pace the Golf is capable of delivering should be a life affirming 'hell yeah', not a shrugged 'so what'. Frankly we didn't spend enough time in the R this time around to really dig beyond these initial impressions. We'll be sure to do that and hopefully unlock the magic others have reported on in due course. But right now a GTI Performance makes more inspiring use of a Haldex-derived drivetrain, feels more lively given its 94kg weight saving and costs nearly £3K less like for like. Numbers still matter then, you just need to make sure you're looking at the right ones. Interesting, so you think it's a bit rubbish then? That does seem a bit luke warm. 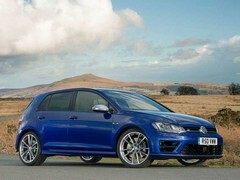 I also noted that the R isn't hugely torquey for its BHP when I read the Autocar review. A few years back, an imported Mustang Gt offered 300bhp and RWD for between 26 and £30k so, in terms of progress, this is a car to be applauded. Is £3k such a big gap these days (not that I would spend that on a new car)? I suppose that, ultimately, I would want to justify the price tag over a Focus ST or Megane 265 but would still be tempted by the GTI. It's down to how much money you have and if you need to have the top model in your chosen range. Curious, Dan, as to why you have included the caveat at the end - did you feel you might be missing something, given the exceptional reviews elsewhere? I have one on order as a quick day-to-day car, but this review does suggest that I may need something else for weekend fun (and I was hoping this would do, at least for a while). 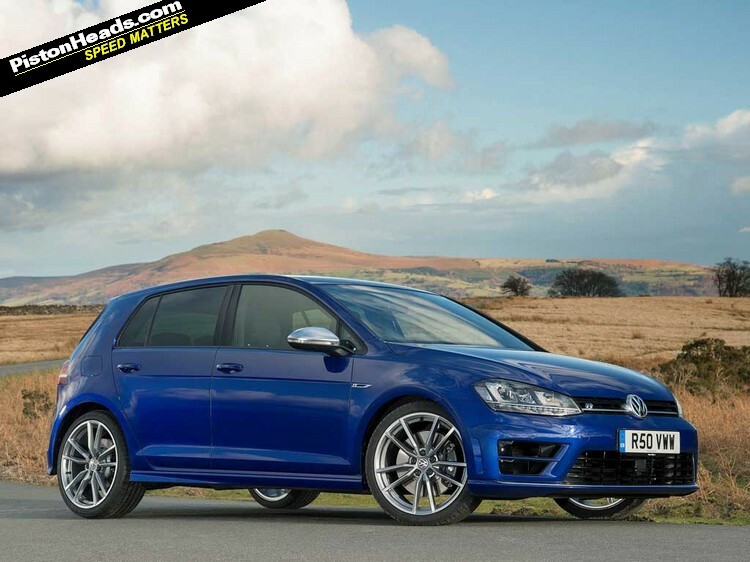 The performance Golfs are very close together on price, aren't they?